Third Day is a Grammy award-winning Christian rock band formed in Marietta, Georgia during the 1990s. The band was founded by lead singer Mac Powell, guitarist Mark Lee and former member Billy Wilkins. The other band members are bassist Tai Anderson and drummer David Carr. The band's name is a reference to the biblical account of Jesus' rising from the dead on the third day following his crucifixion. The band was inducted in the Georgia Music Hall of Fame on September 19, 2009. 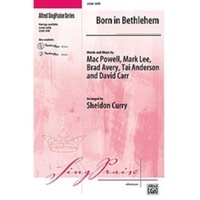 In 1992, Mac Powell and Mark Lee were playing at Lee's church the same night that David Carr & Tai Anderson played with a band called Bullard Family Singers. Once introduced, the group took to each other quickly and Carr & Anderson were invited to join the band. In 1993, while remaining in school, the band started playing more aggressively around Atlanta and saved $3,000 to record a full-length album. Also, during this time, Wilkins, who was working full-time as a school teacher, decided to leave the band. Third Day continued to work on their album, recording at Furies Studios in Atlanta. With the production help of Carr, Long Time Forgotten was finally released in 1994 with 2,000 copies available. In 1995, the band started looking for a second guitarist and after hearing Brad Avery play with singer Chris Carder, Avery was asked to audition with the band. After playing Consuming Fire during their first rehearsal, Avery was officially asked to join the band. As the band rounded off its line-up, at that time, Mark Lee had made difficult decision to quit the band, yet never really went through with it, to pursue a full time college load at Georgia Tech. So the band was found by and selected guitarist August McCoy. McCoy later went on to write & recorded with artists such as Sammy Ward, Brothers-n-Christ, and Sunsol; he is also seen reuniting after 13 years on the 2007 "Revelations" CD/DVD combo release. August McCoy is officially "The most forgotten & left out of the Third Day Legend" since he 'was' an official member at that time and appears in the line-up on the "Contagious" CD release and is firstly thanked in the subsequent Gray dot release of the band's next self-titled release) August McCoy ended up being the one to leave for college, exiting the band, when they started playing more steadily in venues around the Southeast. While playing in a Marietta, Georgia at the Strand Theatre, the owners offered the band a contract to sign with a new independent record label called Gray Dot Records. With recording contract in-hand, the band released the album Third Day, which ended up selling 20,000 copies. Shortly after, Reunion Records bought out their Grey Dot contract and signed the band to a multi-album deal. Once under contract, Reunion Records immediately released the now official version of Third Day. The record has sold over 300,000 copies and was well received by critics. The album also yielded their only mainstream rock radio hit in the U.S., "Nothing at All", which peaked at No. 34 on the Billboard rock charts. Later the same year, Christian music headliner Newsboys asked Third Day to open for them at five of their West Coast shows. At the same time, they launched their own 65-city tour with All Star United and Seven Day Jesus opening for them. The band's successful debut was culminated with being nominated for a Dove Award in the category of New Artist of the Year and their video for Consuming Fire winning a Billboard Music Award in the category of Best Christian Video. In the winter of 1997, the band started working on their second album, Conspiracy No. 5. The album was produced by Sam Taylor, who had previously worked with King's X and other Christian bands. The album was nominated for a Grammy and won Dove Awards for Rock Album of the Year and Rock Song of the Year ("Alien"). The following year, the band dedicated exclusively to touring around the United States, both alone and again opening for Newsboys. Also in 1998, the band recorded a cover of Michael W.Smith's Agnus Dei for his Dove Award-winning compilation project Exodus. In 1998, the band started working on their next project titled Time under the production of Monroe Jones. They had compiled approximately 30 songs to choose from during the last year and ended up choosing ten for the new album. Time was also nominated for a Grammy Award and won another Dove Award for the band. Some of the songs that were recorded for possible inclusion in the album, but were left out during production, can be found in the EP Southern Tracks. During the band's live shows, the worship portion of the concert was becoming more "powerful", prompting the band to release an album made up exclusively of worship songs. The subsequent album was entitled Offerings: A Worship Album and took about a week to record. In 2000 to support both Time and Offerings, Third Day went on tour alongside Jennifer Knapp. Later the same year, the band also collaborated on the project City on a Hill: Songs of Worship and Praise alongside FFH, Caedmon's Call, Newsboys, Jars of Clay, and others. In 2001, the band played in Australia and New Zealand on the heels of the success of the Offerings album. While touring in the States, Third Day recorded one of their concerts in Atlanta to be released as their first DVD, The Offerings Experience. The concert was held at the Hi-Fi Buys Amphitheatre with an attendance of close to 15,000 people. That same year, the band won a total of five Dove Awards as well as their first Grammy. They closed the year with the release of their fifth studio album, Come Together, which won two Dove Awards and one more Grammy. The album was certified gold the next year, along with Time. The band appeared in the 2002 film "Joshua", the movie version of the Joseph Girzone novel of the same name. The Third Day song My Hope is You was included in the Joshua soundtrack album. In 2003, the band released a follow-up to their hit worship CD Offerings entitled Offerings II: All I Have to Give. In 2004, the band released their seventh album, Wire, and toured the States with tobyMac and Warren Barfield. In June of the same year, the band traveled to Europe for a two-week tour. Upon returning, the band recorded a concert at Louisville and released it as the live album, Live Wire. During that year, they also collaborated on the soundtrack for Mel Gibson's film, The Passion of the Christ, they played at the Republican National Convention, and were featured in the show 60 Minutes. In January 2007, the band played one night each in Melbourne, Brisbane, and Sydney, Australia. Their next album, Wherever You Are, debuted on the Billboard 200 at No. 8. It also won the band their third Grammy. This success was followed in 2006 by the release of their first holiday album, Christmas Offerings, and in 2007 with the first compilations of their hits entitled Chronology. Their next studio album called Revelation was released July 29, 2008. On February 28, 2008, Third Day released a statement announcing Brad Avery's departure from the band after 13 years and over 1000 concerts. According to the official press release, Avery left the band to pursue solo projects and Third Day would not replace him, instead continuing on as a quartet. Following Avery's departure, the band performed at the April, 2008 Papal Youth Rally at St. Joseph's Seminary in Yonkers, NY. Supporting the release of their new album Revelation, on July 29, 2008 the band appeared on The Tonight Show with Jay Leno where they performed the album's first single Call My Name and on November 20, 2008 they appeared on the Late Late Show with Craig Ferguson performing the album's title track. The song This Is Who I Am off the Revelation album also appears in EA Sports NASCAR video game NASCAR 09, though the album was released over a month after the game. "Call My Name" hit No. 1 and was the 5th most-played song on R&R magazine's Christian CHR chart for 2008. Third Day was inducted into the Georgia Music Hall Of Fame on September 19, 2009. They released Live Revelations, a live CD/DVD version of the Revelation album, in April. In December 2009, Third Day was nominated for 3 Grammys: One for Best Rock or Rap Gospel Album for Live Revelations and their single "Born Again" received 2 Grammy nods for Best Gospel Performance and Best Gospel Song. They won the Best Rock or Rap award, thus winning their fourth career Grammy. Live Revelations achieved Gold status in April, becoming the band's eighth album to go gold. Third Day was featured on Winter Jam 2010, touring alongside Newsboys, Fireflight, Tenth Avenue North, and others. After releasing the single, "Lift Up Your Face", in July, Third Day released their ninth studio album, Move, on October 19, 2010. On October 30 they finished the World Vision-sponsored tour "Make a Difference Tour 2010" with TobyMac, Michael W. Smith, Jason Gray and Max Lucado in Fayetteville, NC. Their song Follow Me There, off Move, is the featured as the theme song to the TLC Television show Sarah Palin's Alaska which debuted in 2010. Brad Avery, guitar. From Third Day Weblog by Third Day. "Third Day and Brad Avery have made the very difficult decision to part ways. We appreciate Brad's many contributions to the band's career to date, including his work on our forthcoming album, but the time has come for us to follow our separate paths. He has been an important part of Third Day for the last 13 years as we've traveled the world together and performed over 1,000 concerts. We will miss him as a band member but he will always remain our brother and our friend. Brad is a wonderful person, gifted songwriter and talented musician. We trust that God has amazing plans for his future." Avery left the band on February 28, 2008.